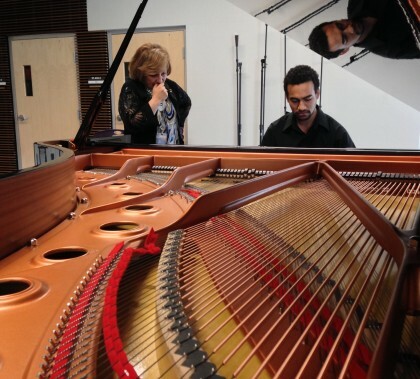 When talented music major Omar Williams Jr., a junior in the College of Fine Arts and Production, played a classic song by Johann Sebastian Bach on the piano last week, it was music to the ears of his instructor, Dr. Jelena Vladikovic, and College of Worship Arts recording studio manager, Eric Johnson. It is the first time a COFAP student recorded an audition tape in the five-month old venue. A member of The Traveling Team turned his Chapel talk Monday morning into a missionary appeal. The Traveling Team is all about sending out more people on mission trips, and it sets an example by touring the country speaking at universities. Callison urged listeners to put helping those in need at the top of their must-do list.